Cynthia Paul is an accomplished entrepreneur who comes from humble beginnings. In her 20’s she worked in the healthcare industry and truly enjoyed taking care of the elderly. She met her husband Chip in the healthcare industry and the couple started and ran a homecare company in the Tulsa area. Cynthia quit smoking using an e-cigarette in 2012 and convinced her husband to also quit smoking cigars using vape. The couple became fascinated with vape. They opened a vape store in Owasso OK, called Palm Beach Vapors. The store met with immediate success and the couple was approached about franchising their concept. They did and built the first e-cig brick and mortar franchise in the US. Further, in a similar way that a CBD shop would be a good dispensary “footprint” today, they couple felt that their vape concept would also be a good dispensary “footprint”. This idea was featured in Entrepreneur Magazine and many other national publications. 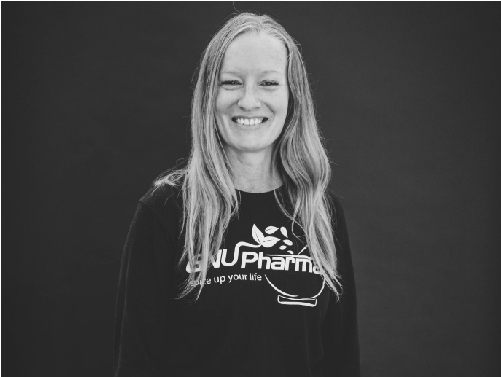 Through her husband Chip’s scientific discoveries, the couple founded a research, development, and manufacturing company called GnuPharma. The company hold patents pending on its abilities to influence the endocannabinoid system with non-cannabis plants. Cynthia has been directly involved in company development including marketing and branding, website development, and social media strategy and planning. Cynthia and Chip Paul also founded Oklahomans For Health, which is the group that brought SQ788 to the ballot thru petition, got SQ788 passed, and is currently working both legislatively and regulatory to protect it. Error: Error validating access token: Session has expired on Friday, 19-Apr-19 10:36:26 PDT. The current time is Thursday, 25-Apr-19 01:32:18 PDT.